Cathy, wearing an Essex Classics shirt, spends time with her horse Close At Hand. 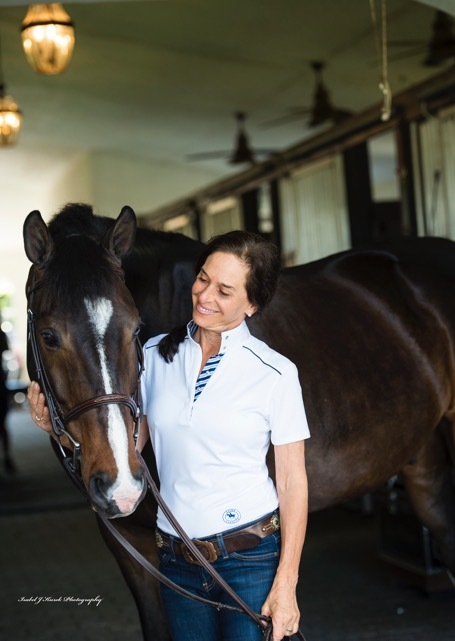 Growing up in a family that owned a high-end men’s shirt manufacturing business and being a rider herself, it’s really no surprise that Cathy Sacher of Emmaus, Pennsylvania, would be the innovator behind Essex Classics, a show shirt favorite among equestrians for the last 30 years. When Cathy isn’t planning the next show shirt trend, she can be found enjoying her horses and competing in the adult hunters. How and when did you initially get hooked on horses? I loved horses from the get-go and was very fortunate that my mother was willing to drive me 60 miles to a farm in Oley, Pennsylvania. For most of my childhood, I showed locally on Thoroughbreds purchased off the racetrack. It wasn’t until I went off to college in North Carolina that I started showing on the A circuit under the guidance of Cloud’s Harbor Farm trainers and lifelong friends Pat Dodson and Keith Hastings. What inspired you to start the Essex Classics line? I really have to credit my friends Pat and Keith for encouraging me to start Essex Classics. After graduating from college and earning my MBA, I worked in banking for a few years, and Pat and Keith knew how much I missed the horse world. 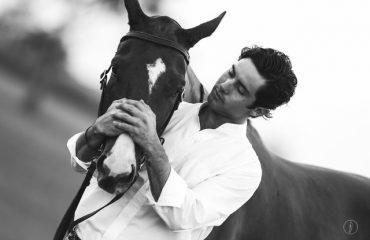 They also recognized an opportunity in the equestrian market for a brand of well-tailored show shirts, given the fact that there was only one other quality shirt brand at the time. Additionally, over the years they had worn private label shirts made in my father’s factories, so they were familiar with the quality of our shirts. Assisted by my father’s expertise in shirt-making, I designed a line of shirts that honored the smartly traditional American look; the first Essex show shirts were manufactured in our Fleetwood, Pennsylvania, factory in 1985. Those early shirts were made from luxurious imported cottons in pinstripes, fine checks and plaids, and came with a detachable collar, as was the style at the time. How did you pick the name Essex Classics? I wanted to name the company something that paid deference to our traditional look in equestrian apparel and acknowledged its British heritage. I looked at a map of England for inspiration, which is where I came across the town of Essex. As they say, the rest is history! What makes an Essex Classics shirt special? 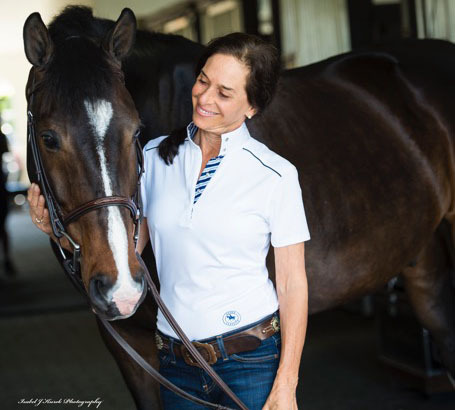 Our hallmark is preserving an elegant, timeless style for the show ring while paying close attention to the rider’s experience of wearing our shirts. For example, in 2009 we developed the innovative wrap collar design, which gives the appearance of wearing a chokered shirt without the hassle of a separate choker piece. This new design put an end to lost or misplaced chokers and was a profound change in the style of show shirts. Going back even further, we were the first to introduce coolmax performance shirting fabrics to keep riders cool and comfortable. Today, performance fabrics occupy the prime position in show shirts. Something else that sets us apart is that our shirts are made with meticulous attention to detail. We’re constantly testing and retesting our designs to identify ways we can make them even better. Take our collar construction, for instance: They are designed to ensure no gapping, and we use thicker snaps to make it easy for riders to fasten their collars between the schooling area and the in-gate. Every detail of the shirt has been attended to. Our collars and cuffs are made from broadcloth cotton to give our shirts crispness. Collars are the correct height for the polished look. Our shirttails are long so they stay tucked into low-rise breeches. All we do are shirts. I’ve stuck to it; that’s our niche. I chose not to branch out because shirts are really my specialty. Do you currently ride and compete? I do currently ride and compete, and I commute back and forth to Wellington every year for the winter show circuit. It’s such a fun business because it’s intertwined with my passion for equestrian sport. I have three show horses at the moment and have been training with Kim Buzby for 10 years. Ideally, I like to ride three times a week. Close At Hand used to be my amateur owner hunter in his younger days, and was a local champion at Devon last year. He had colic surgery years ago, but thankfully came back beautifully. I’ve had Allegro for five years and show him in adult hunters; he was champion last summer at the Brandywine Horse Shows and reserve at Middleburg Classic. My third horse is Coco, who is a very talented 7-year-old — scopey and brave and headed in the direction of being a jumper or an equitation horse, or perhaps a derby horse. Being a 3’ adult horse for his mom is not in the cards as it’s not exciting enough for him. He much prefers being Caroline Passarelli’s mount in the eq classes. 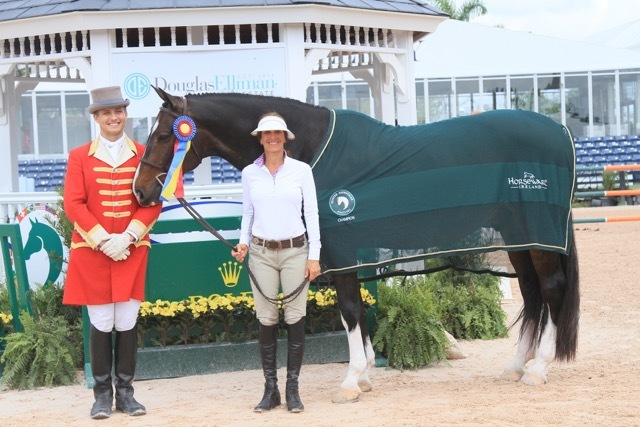 While winning at WEF, Cathy is stylish in one of her own shirts. You’ve owned many horses over the years. Has there been one special horse that stands out? I rode with Peggy Gehman for years when she was based out of her family farm, Hillside Acres, just two miles from my home. One of the most special horses I’ve owned was Emily (Absolut’ Magic), who was born at Peggy’s farm and won the 4-year-old international hunter futurity with Peggy. I owned Emily’s mother (Rub The Magic) and so it was even more exciting since we bred and raised her. What has been the greatest challenge you’ve faced as an equestrian entrepreneur? The greatest challenge would have to be coming up with fresh takes on a traditional shirt, and having to keep re-creating Essex shirts as new fabrications are introduced. You want to keep on introducing new style elements while still remaining within the confines of the traditional look in the ring. Riders are athletes, and we want to be comfortable when we’re riding and showing, so performance is another aspect we must always consider. What unique opportunities have come your way as a result of being in the equestrian fashion industry? One of the greatest opportunities has been getting to developing very close friendships with some of my retail partners, some of whom have been customers of mine for over 35 years. Also, partnering with the USHJA and major horse shows across the country as an awards sponsor. Many of these horse shows such as the Pennsylvania National, Pin Oak, Devon, etc. are known for their legacy of charitable giving. I also love getting to know our sponsored riders, from the most accomplished and respected show jumping riders: Anne Kursinski to the up-and-coming talented junior rider Caroline Passarelli. Anne Kursinski was actually the first rider we ever sponsored. I was recently at her farm to attend one of her clinics and had the pleasure of auditing it. 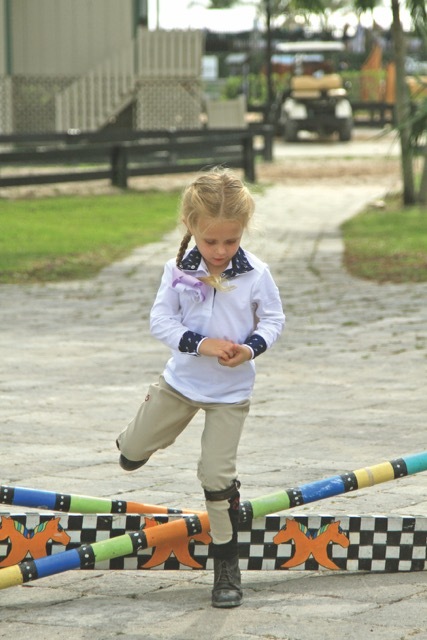 Caroline is showing my 7-year-old horse, Coco, in the equitation division at WEF. 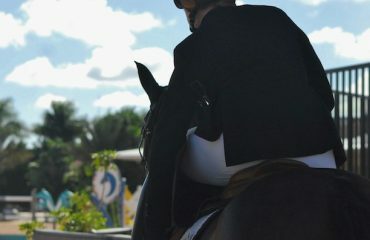 Currently we sponsor 15 riders and I love going to the shows to watch and support them. 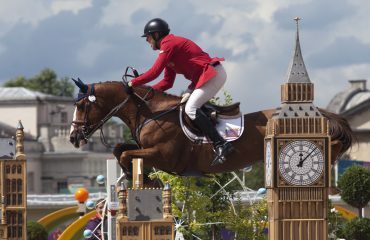 What aspects of equestrian sport do you love the most? I love showing, but what’s truly great is the ability to combine my passion with my business. Zoey Schneider wearing the Gelato shirt from Essex Classics. What are some of the fresh looks for 2017? Some of the fresh looks we’ve developed for 2017 include piping on the shoulder in a European-style straight collar with snaps. The show shirts are all white, so the place to really experiment with style is in the trim design. We have beautiful paisleys and florals, prancing horses and even ice cream cones and wine bottles. There’s such an array to choose from. I’m really excited about something we debuted last Thanksgiving: Danny & Ron’s Rescue collection of show shirts and men’s ties to help raise funds for their dog rescue. The shirt has an adorable interior trim with a dog motif, and on the lower right we’ve put the rescue’s logo. Shops are selling the shirts right now and we honestly can’t make them fast enough! We’ve also created a line of men’s ties with the same design. It’s a great way to leverage my brand to support their efforts. We also just designed a shirt for USHJA, which they’ll be selling on their website in April. Given that shirts are our specialty, I am now designing women’s tailored fitted shirts in cotton with a touch of stretch, front and back darts, straight collar, and interior trim in collar, placket, and cuffs. The new collection will be available this Fall at retail Essex dealers. Perfect for schooling and casual wear. When you’re not with horses or working on your brand, what do you enjoy doing? I don’t have that much down time, but I have two adult children and enjoy spending time with them. . I also have my Golden Retriever Ziggy who is like my third child. In addition to riding, I’m also hooked on Pilates, which I do two to three times a week. Developing core strength helps me in the saddle! 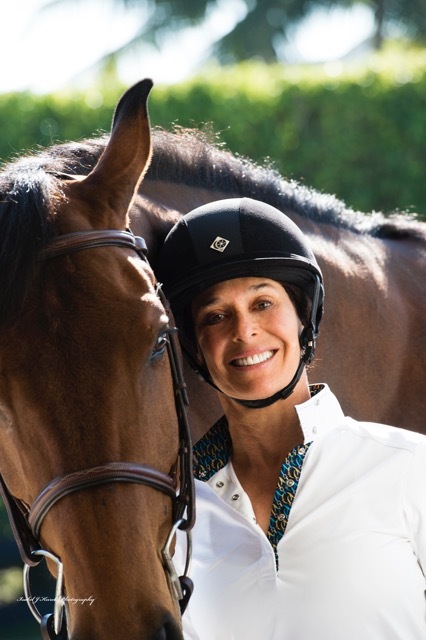 About the writer: Susan Friedland-Smith of North Tustin, California, is a middle school teacher and equestrian lifestyle blogger at Saddle Seeks Horse. Check out her blog saddleseekshorse.com or follow on Instagram @SaddleSeeksHorse.